Above: ESPRI's Civic Engagement project has trained a cohort of residents to register over 600 people to vote and to become more involved in civic activities in Newburgh. After witnessing how countless, top-down anti-poverty initiatives had failed to deliver results, Newburgh’s Empire State Poverty Reduction Initiative decided to create a partnership with trusted local leaders, recognizing the role they have to play as architects of their community’s rebirth. Credit: Historical Society of Newburgh and the Highlands. The City of Newburgh, a small city of nearly 30,000, was selected as one of the 16 ESPRI sites. Statistically, Newburgh hits all of the marks that demonstrate a city in need, with an estimated 33% of residents living below the federal poverty line—and perhaps more importantly, it is a community with a difficult recent history. For most of its early history, the city was a thriving commercial hub supported by vibrant shipping and manufacturing industries. However the development of a nearby interstate highway in the mid-20th century led to an economic downturn in the city. Those who had formerly driven through the city— whether on a daily commute or as tourists bound for another destination—now bypassed it all together, creating a depressed commercial core suffered. Newburgh’s major industries suffered as well when manufacturing companies, which had historically depended on cargo ships to transport goods, found a cheaper alternative in trucking. These same companies consequently lost the incentive to keep their factories in a port city. 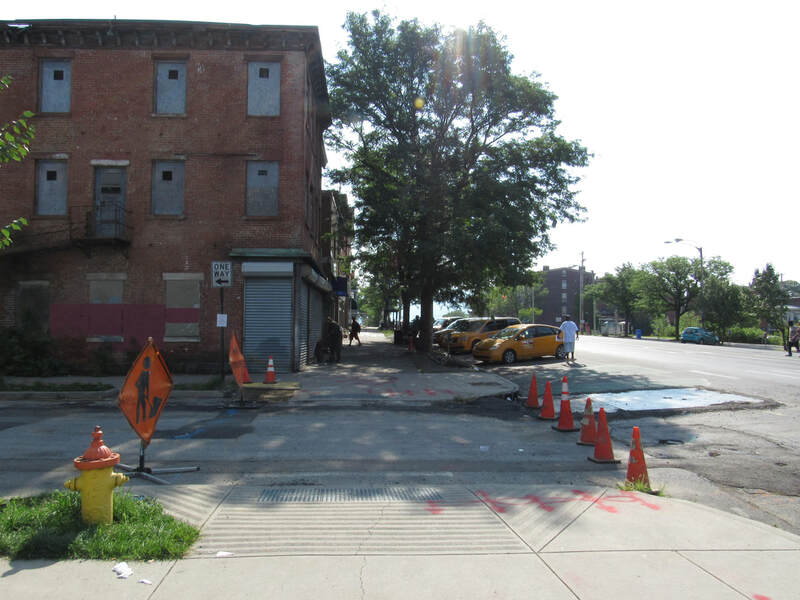 A horrific attempt at urban renewal in the 1960s and 1970s also contributed to the city’s falling into a financial tailspin, from which it has been unable to recover. The faces and places of Newburgh today. ​​Newburgh was one of the cities chosen for the program, and ESPRI in Newburgh project leaders were acutely aware that community residents were likely to be wary of yet another solution to poverty that did not include them as strategic partners. 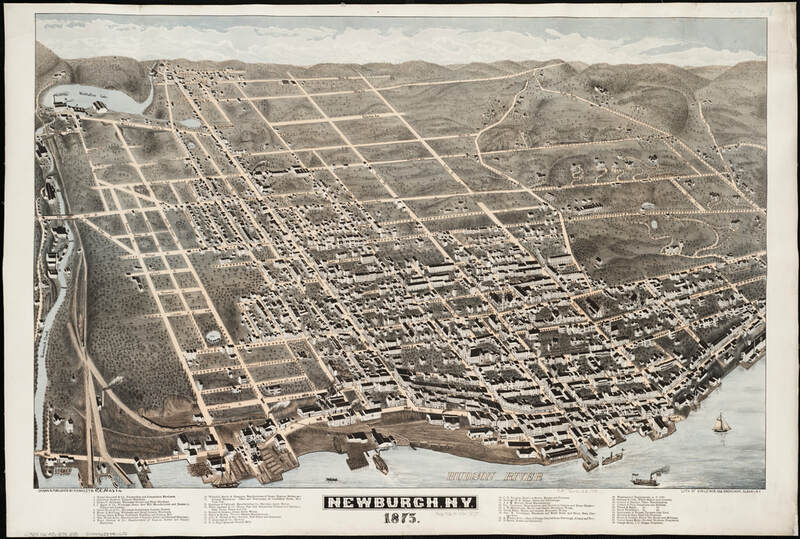 Newburgh had been dealing with poverty for decades [see box at right], and while various solutions to it had been offered up to residents over the years, rarely if ever had their input been sought. Consequently and not surprisingly, rarely did those solutions affect meaningful change. Their continual failure was rooted in the relationship—which was essentially one of service providers and clients—between local institutions serving the community and their residents. Service providers usually received funding from larger funding institutions, like foundations or governments, to deliver a program already outfitted with pre-determined measurable outcomes. While it was standard practice for new programs to provide an opportunity for community members to share their ideas about the new program’s method of delivery, it was virtually unheard of that community residents were asked to determine how a program’s success should be measured or to evaluate its effectiveness. Residents were rarely if ever invited in as co-creators. Keenly aware of this history, ESPRI program directors believed giving community residents an opportunity to brainstorm their own solutions, and to demonstrate their impact as program designers, project leaders, and partners would be critical to successful outcomes. As a part of ESPRI in Newburgh’s earliest planning efforts the initiative held regular Anti-Poverty Task Force Meetings. These sessions provided a space for representatives of nonprofit agencies, local government, businesses, and community residents to openly discuss the issues they believed were contributing to poverty in the city and to explore solutions together. These conversations began to reveal larger issues that had never before been addressed in the community. Many outside the residential communities who were struggling to understand why more residents were not taking advantage of the programs and services they offered learned that existing programs did not always align with what residents actually needed or wanted. 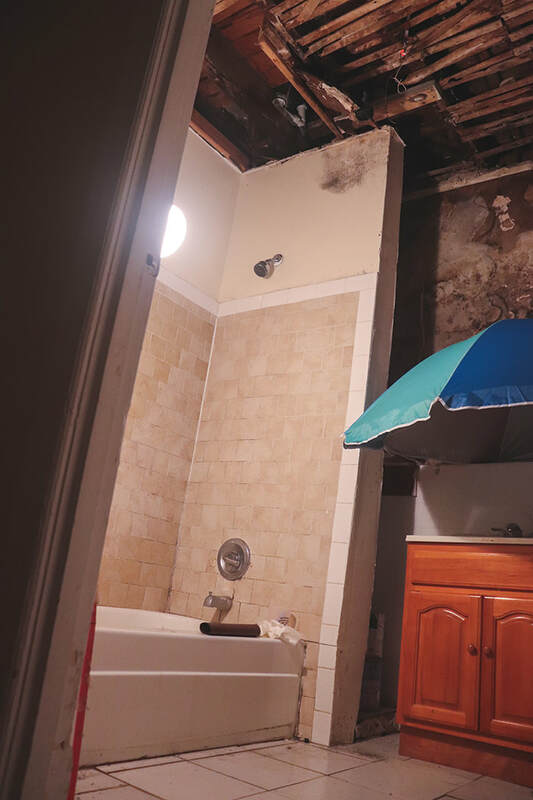 Residents explained that these programs were prioritizing the wrong problems while seemingly ignoring others that they deemed critically important. For ESPRI, it was clear that somewhere along the way the traditional programs and services used to address poverty had separated from the solutions that Newburgh residents desired for their community. ​It rapidly became apparent how the simple act of creating opportunities for a flow of communication among local institutions and low-income residents would improve the effectiveness of programs serving the latter’s needs. One of ESPRI Newburgh’s first priorities was therefore to create a formal mechanism that would require close and continuing collaboration between residents and grassroots community organizations. A granting opportunity was announced in which residents and these community organizations were asked to submit proposals demonstrating a true partnership between them. The proposal were to specify how the resident would design and lead a new community program, while the organization would support the resident in an administrative capacity. “What’s interesting about these grants is that it placed residents in the driver’s seat while still having nonprofit partners involved to support with the administration and compliance side of grant funding,” explains Melissa Clark, Director of ESPRI in Newburgh and Director of Community Impact at United Way of Dutchess-Orange Region. This intentional tailoring of the grant-making initiative enabled ESPRI in Newburgh to identify many residents who were already active community members, and to cultivate relationships with residents who knew the community well and were recognized and trusted faces. For many resident leaders who applied for this grant, it was their first opportunity to not only receive funding support for an idea they believed in, but also, perhaps just as critically, to enjoy formal recognition for the work they had long been doing in their community. A total of $70,000 was awarded to six community initiatives. Two received awards of $14,000 and four received awards of $10,500. The Broadway River District Neighborhood Association (BRDNA), which received a $14,000 grant, is a project sponsored by Habitat for Humanity. BRDNA is a volunteer-led neighborhood association of first-time homeowners in the City of Newburgh who have purchased recently constructed homes with the support of Habitat for Humanity of Greater Newburgh. The neighborhood association plans to use the funds to construct a communal shed stocked with tools and equipment, hold scheduled community clean ups and community work days, and attract more streets to join the neighborhood association. “Being a part of a neighborhood association provides an avenue for residents to assist in the revitalization of their neighborhood while showing the pride they have in their community,” reports Diane McLean-Lee, a BRDNA member. The Tool-sharing shed creates organic and ongoing opportunities for community interaction. The neighborhood association is optimistic about its impact, especially if it can continue to carry out funded projects. “It would create a spillover effect, assisting us to expand to the surrounding area, improving land and building property values while empowering residents to take a leadership role and be a voice in the transformation of their community,” Diane observes. Neighborhood association members hope the tool-sharing shed will provide highly visible evidence of the impact that an organized group of homeowners can have on their community. It is expected that the shed will also create natural opportunities for everyday community interaction and encourage residents to become active neighborhood association members, in BRDA or in their own Newburgh communities. Sponsored by Best Resources Center Inc., and led by Newburgh resident Alvin Moonesar, a plan to renovate and reopen Hasbrouck Street Park, which had fallen into disrepair, received $14,000 from ESPRI. The project will engage the community to redesign and renovate the park through a volunteer effort. While Alvin acknowledges the importance of the basic needs that are traditionally met by service providers, he also believes that attention must be paid to other needs of the community. The Hasbrouck Street Park renovation project will provide community benefits that are not necessarily quantifiable but are nonetheless real. 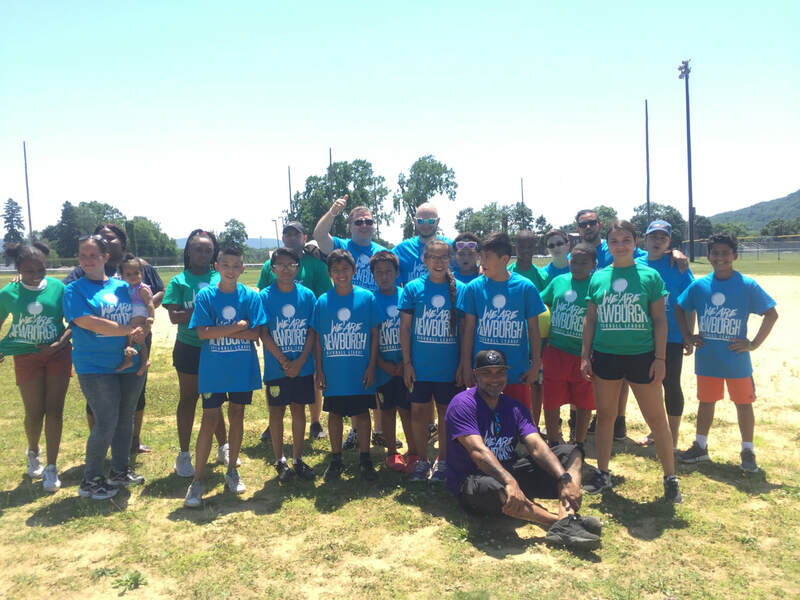 ​Alvin imagines a newly renovated park would serve the community as both a play space for kids and also as a site for educational programming, free-meals programs, and other service providers seeking access to the community. 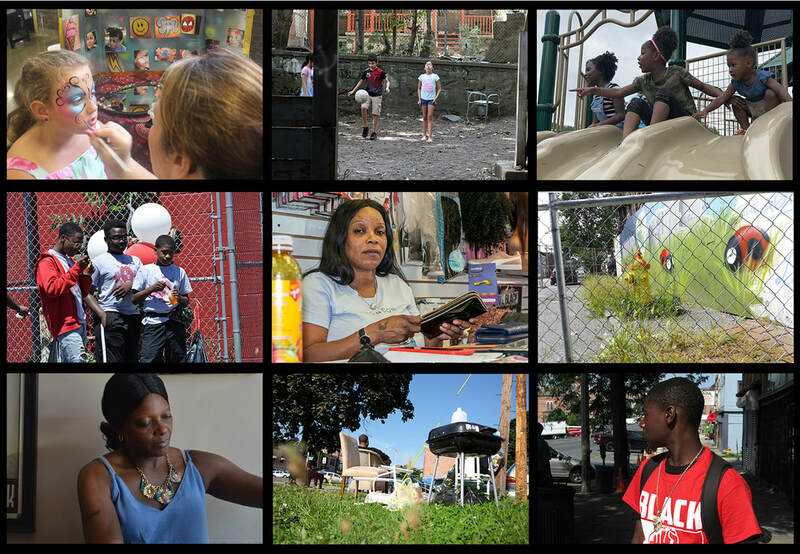 EveryDay Newburgh, a project of the Newburgh Community Photo Project (NCCP), received $10,500. Sponsored by PROOF: Media for Social Justice, NCCP is a community-based initiative started about a year ago by Vincent Cianni, an 11-year Newburgh resident and documentary photographer. After the 2016 elections, Vincent was encouraged to use photography as a tool to engage and empower his community. Through the grant received from ESPRI, Vincent was able to hold an 8-week photography and citizen journalism stipended workshop for a group of 14 teens and young adults living in Newburgh. 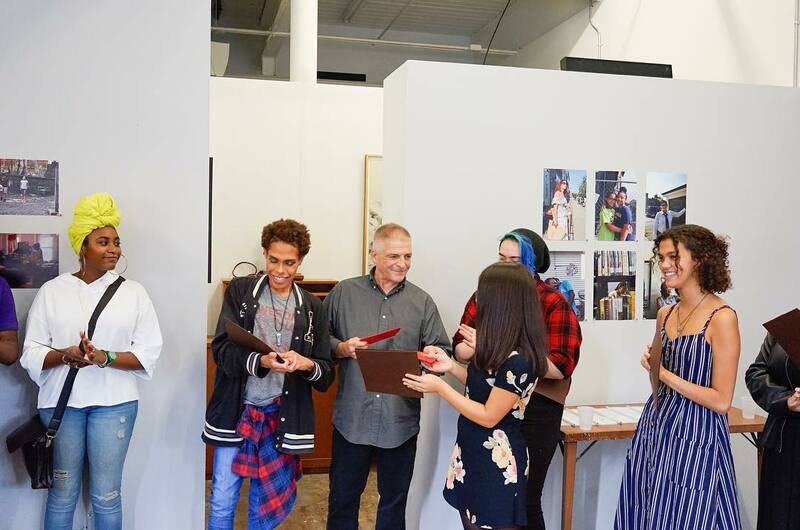 Under the grant their photography work will be publicly displayed in the community to raise awareness and encourage dialogue around Newburgh-specific issues. Each workshop participant selected a topic for a photo essay. Their subjects included a variety of complex issues such as the city’s decaying buildings, poor housing conditions, gentrification, diversity in local business ownership, women as role models in the community, children’s summer programs, and more. Vincent Cianni (center) with young photographers who documented life in Newburgh from a very personal lens. As a result of their participation in the workshop, some participants were able to secure freelance photography work and get involved with a local filmmaking workshop. Vincent hopes to leverage the success of the workshop to apply for future funding to support the program year round and create a space for Newburgh-based photographers to continue to grow and develop their craft. Increasing Civic Engagement in Newburgh is a project sponsored by New York Civic Engagement Table, led by lifetime Newburgh resident and activist Omari Shakur and supported by Hudson Valley Civic Engagement Table Coordinator Ann Sullivan. A $10,500 grant from ESPRI created seven paid internship for seven residents seeking to learn more about civic involvement, do non-partisan voter registration, and organize non-partisan get-out-the vote campaigns. So far, Omari and Ann have guided the resident cohort as they have registered over 600 people to vote and to become more involved in civic activities including attending city council and school board meetings. Both Ann and Omari have been struck by the creative ways in which the group has evolved in thinking about solutions to their community challenges. “They’re (the interns) talking more about ‘How can we bring better jobs here?’ and ‘How can we fix the housing problem?’” shares Omari. Ann also stresses the multiplying impact that even a small group such as this one can have in their community, “If this program went year round, a year from now we would have 15 or 20 people moving their networks to vote and go to city council meetings to speak up on issues,” she says. The recipient of a $10,500 grant, The Star Project project, sponsored by Calvary Presbyterian Church, enables people to donate an amount to an eatery that can in turn be claimed by a person in need to purchase a meal. A donation is made by pre-purchasing a food item at a participating eatery, writing the name of the food item on a star-shaped post-it note, and placing it on a cork board so that a person in need can pull the item off the board and redeem it. The Star Project also invites social service organizations to leave information on the cork boards at each participating eateries. The project plans to expand to as many eateries in the city as possible, and to raise awareness about the project. Damian DePauw, a lifelong Newburgh resident, was inspired to start the project in early 2018 after learning about a similar initiative started at Rosa’s Fresh Pizza in Philadelphia. Damian loves the way the Star Project gives community members an opportunity to support one another. While some Newburgh businesses were reluctant to participate in the Star Project, as it turns out, participating businesses have been thanked by their customers for the chance to offer assistance to their fellow residents in need. We are Newburgh, founded in 2013 by lifelong Newburgh resident Joe Alvarez, is a volunteer-driven group of community members. Its ongoing efforts to plan and coordinate large-scale and free community events in Newburgh received a $10,500 from ESPRI and was sponsored by Calvary Presbyterian Church. Most recently the group held a Back-To-School Barbeque at Downing Park in Newburgh attended by an estimated 3,000 people, and where over 1,100 backpacks filled with school supplies were distributed. Thirty two service agencies, including health insurance providers, housing providers, and local food banks were present at the event to engage with the community. The project has already helped to increase the capacity of We Are Newburgh events, and plans are now in the works to develop a non-profit structure for the organization. In many ways, Joe is tremendously humbled by the way We Are Newburgh members come together time and time again to host memorable events for the community, and by the opportunity these events provide community resources to engage residents. Joe Alvarez (in purple T-shirt) with We Are Newburgh volunteers. Moving forward We Are Newburgh has a calendar full of upcoming events including their Thanksgiving Potluck and Holiday Toy-Drive to end the year followed by their annual Easter Egg Hunt and Kickball League. In the meanwhile, they are hopeful about working with a local community foundation to secure fiscal sponsorship and sustain the community events they have enjoyed bringing to the city. A Back-To-School Barbeque at Downing Park in Newburgh was attended by an estimated 3,000 people. In the way they were designed and implemented the ESPRI funded projects represent a new way to address the needs of low-income communities. They are about reaching out in a very deliberate way to find out what community residents have identified as their concerns, and ensuring that residents themselves play a catalytic role in transforming their communities. In many ways they are a significant departure from traditional programs in both in their content and in their relation to poverty. Each serves as an example of a shifting relationship between service providing organizations and the communities they serve. Service providing organizations offer the administrative capacity and access to resources critical to implementing successful programs in low-income communities. But perhaps for the first time in Newburgh, the ESPRI Initiative is using this structure and capacity to experiment with new ways of addressing poverty where community members are the leaders in program design and implementation. Addressing poverty, it turns out, is not always just about addressing what are considered "basic" needs. It can also be about so many other hard-to-quantify benefits that heal individuals and communities, and about understanding that communities themselves know best how that healing can begin to happen. —About the author: As an Americorp VISTA member, Javier supported the innovative design of the ESPRI in Newburgh, working —through deep listening and public sharing—to develop sustainable resident engagement strategies that could be modeled and expanded upon by local nonprofit organizations. 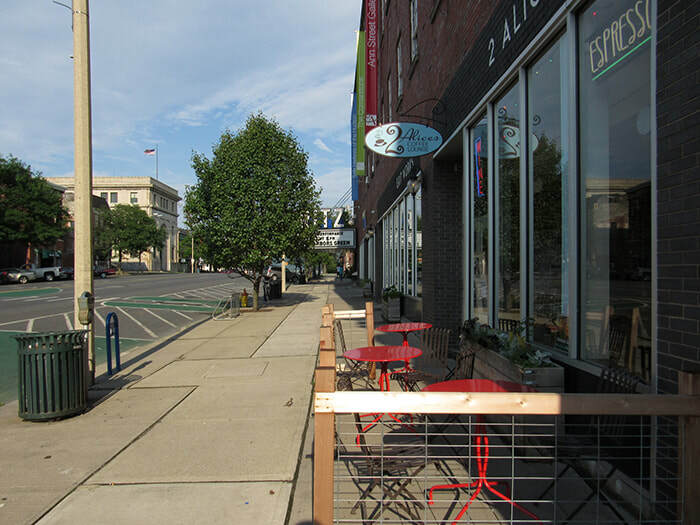 In the City of Newburgh, there has been a rapid growth of renovations and new businesses offering their products and services to the public. The products being offered are high-end meals, elegant clothing and dessert shops. As this “growth” continues, a question concerning some City of Newburgh residents is whether gentrification is happening in their community. Are they targeting Newburgh residents or the new transplants? Are they giving back to the Newburgh community, or are they taking away? As of now, a differential economic class can be seen flowing through the urban community and slowly removing those who have been living here for decades. In the City of Newburgh, many tenants with lower income status live in sub-par housing. A family with children lives here, under conditions that are not suitable. Despite the overwhelming struggle living under these circumstances every day, they always find a way to make living work in their favor.